I don’t know about you, but once I get through the holidays I find myself searching for ways to re-work items in my closet. With a few months of cold sill ahead I am not necessarily looking to add more sweaters, coats and long sleeves to my closet; yet I find myself wanting to inject life back in to what is there. This is when accessories come in handy, helping me mix up what I already own to achieve a new refreshed look for the months ahead. 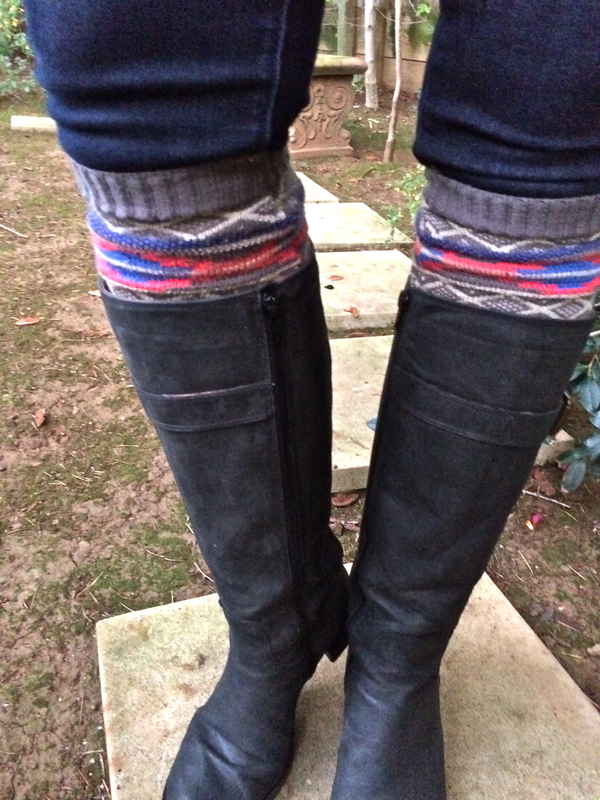 You may have noticed in Wednesday’s blog post I was wearing boot toppers with my boots. 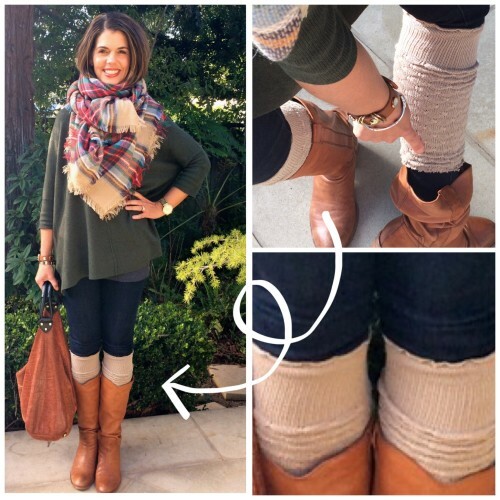 If you missed the post on how-to tie a blanket scarf OR didn’t catch my boot toppers, click HERE. Boot toppers to me are like scarves and hand warmers; they serve a purpose adding warmth and style. Toppers give the look of thick cozy socks. We all know it would be pretty difficult to zip our boots with big ‘ol chunky socks in them not to mention uncomfortable! I think they give balance on our legs when wearing thicker sweaters and coats. 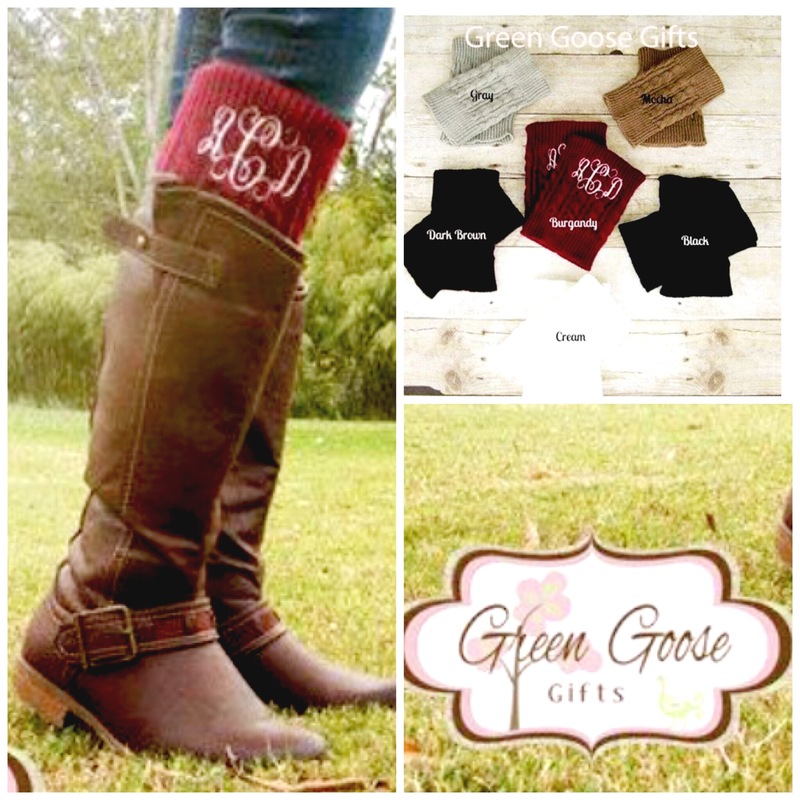 Bottom line – boot toppers take your boots from plain to fabulous! Yes, you can buy cute knitted boot toppers via Esty HERE, the choices are endless, 11,496 choices to be exact last time I checked! And check out these monogramed toppers from GreenGooseCuffs ! Did you catch that MONOGRAMED, now how fun is that? 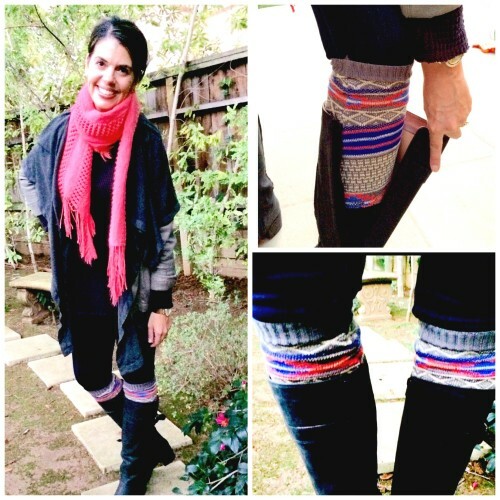 You can also purchase over the knee socks like #3 THESE from Smart Wool which can be worn over the knee or scrunched down. I own a pair in black myself and I must say they are pretty awesome! I like that they are thin up to the cuff so the actual fit of my boot is unaffected. Sold out at Nordstrom but available in 3 colors on Zappos. I also liked #1 and #2 THESE at Zappos. #4 THESE are fun from Steve Madden. 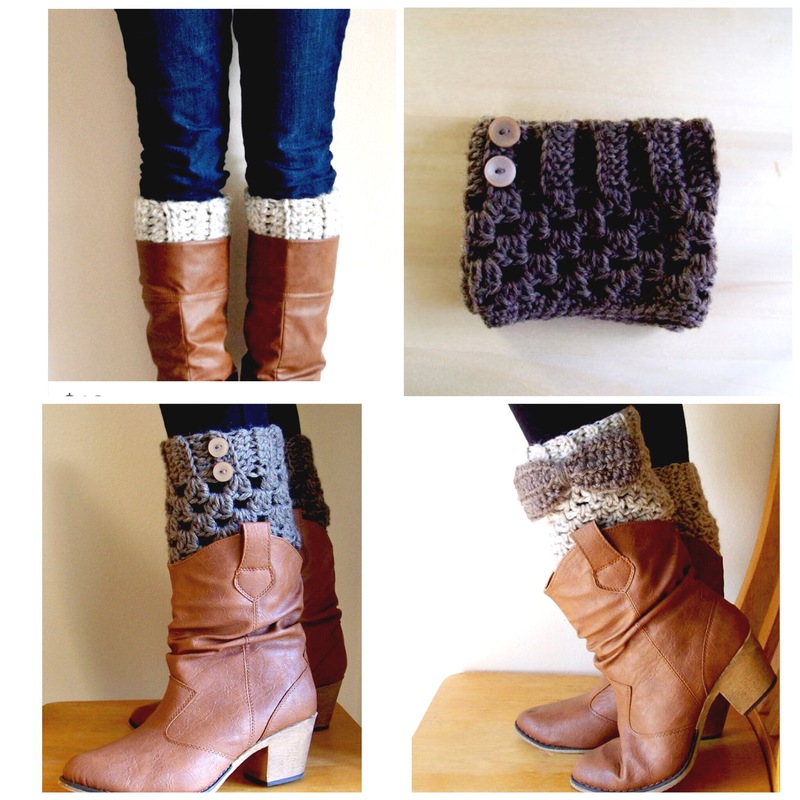 If you knit or crochet the possibilities are endless for free patterns on the web or via Pinterest. 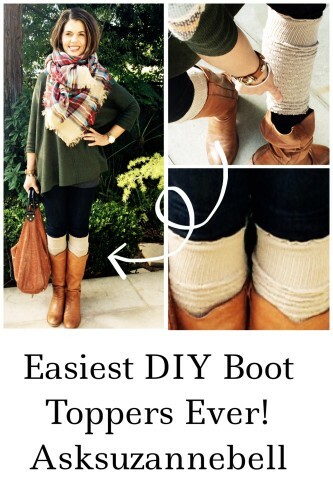 Just search “boot topper pattern” and the world of patterns will be at your fingertips! A quick Google search brought up THIS site; www.craftsy.com along with countless others. My daughter knitted herself a pair, super cute! BUT, if you don’t want to spend $20-$30 on wool knee socks (and deal with getting them to lay right over your skinny jeans or leggings) or have no time to knit or crochet, you can make your own toppers from recycled clothing and be finished and out the door in a flash! For those of you with girls who don’t knit or crochet, this is a project they can do on their own. Have her make a pair for mom while she is at it! There are two ways to make your own boot toppers. One uses an old sweater and the second an old pair of socks. Now, realizing you may not want to cut the sleeves off of any sweater no matter how old it is then pop on over to your local Goodwill/thrift store. I picked up this sweater for $7.75 in about 10 minutes. This Goodwill was a bit pricey, I am sure you can find one for less. 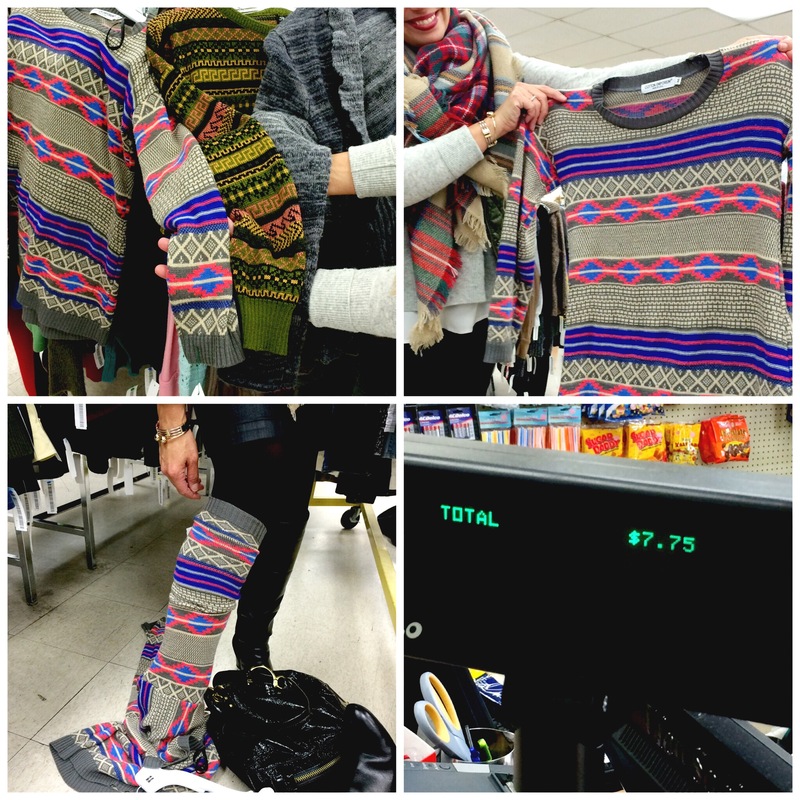 First, I scanned the sweaters looking for interesting arms. I found 3 I liked. I then tried the arm on over my leg to insure the arm was wide enough and yes, the people working in the store were a bit confused! I decided on a pattern that worked with colors in my closet and was out the door! 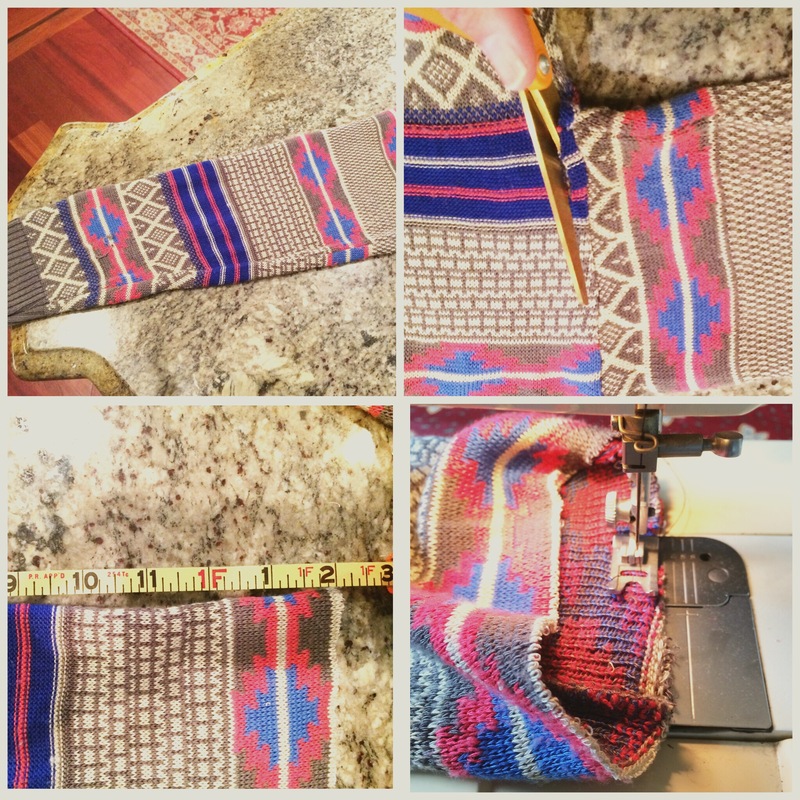 Remember, the cuff of the sweater is what is going to stick out of the top of your boot since it is already finished off nicely for you. 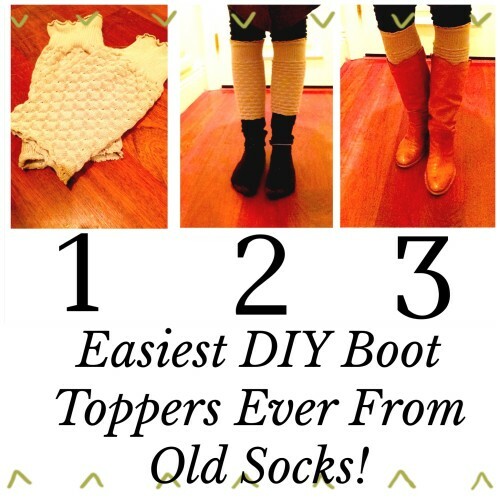 Using socks: Easiest method ever! The top of the old sock is what will stick out of your boot. Cut the length at a place based how much you want sticking out of your boot. I choose 13″ inches. There is no science to the 13″ it just looked right and gave me enough room to scrunch them. When in doubt go longer, you can always make them shorter. Don’t hem. Yes, i said don’t hem. I didn’t and I have had mine for 2 years. Do they shed a little bit of yarn here and there, sure but whatever. I don’t wash them, they’re not dirty so mine don’t really unravel. No one can see the raw edge, it is tucked into my boot, only I know (and now you do too!). 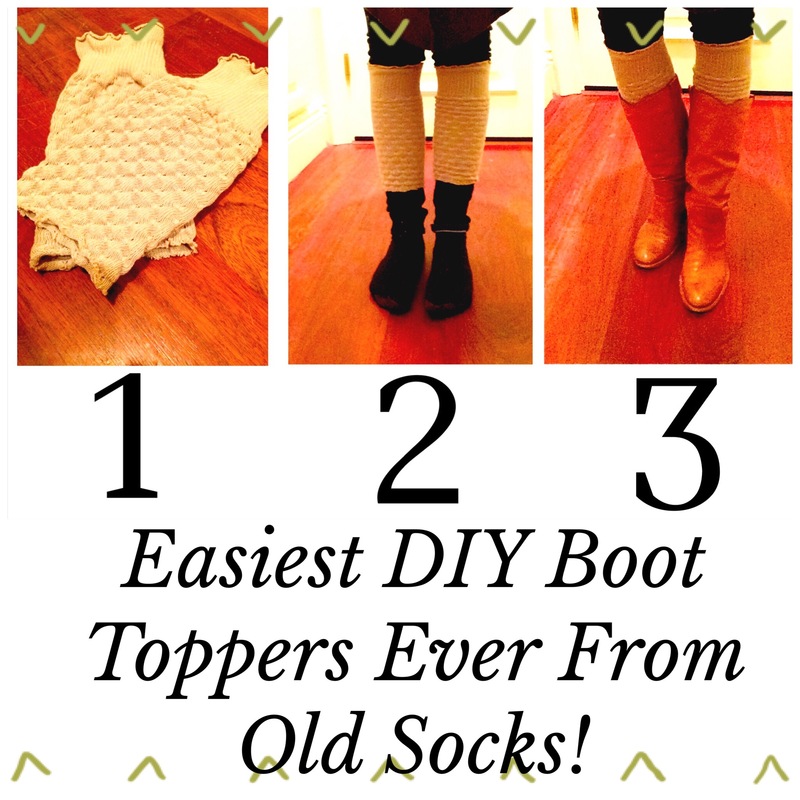 Yes, this is lazy girl 101 method but if you need a boot topper fast this method will take you start to finish in under 5 minutes! So what do you think? Are you going to give this a try? Maybe already tried it? Do share!